What makes the English English? Is it their eccentricity, their passionate love (or, indeed, hatred) of Marmite  or is it something less easily defined? Beginning at the top of a muddy Gloucestershire slope at the Coopers Hill cheese-rolling contest and traversing a landscape of lawns and queues, coastlines and sporting arenas, Ben Fogle takes us on a journey through the peculiarly English: a country of wax jackets, cricket, boat races and jellied eels, by way of national treasures such as the shipping forecast, fish and chips and the Wellington boot. Not to mention the Dunkirk spirit of relentless optimism in the face of adversity, be it the heroic failure of Captain Scott's doomed Antarctic expedition, or simply the perennial hope for better weather. The archetypal Englishman lover of labradors and Land Rovers yet holder of two passports Ben applauds all things quintessentially English while also paying tribute to the history, culture and ideas adopted with such gusto that they have become part of the fabric of the country. 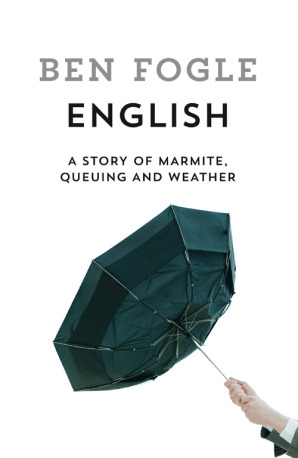 Written with Ben's trademark warmth and wit, this is a light-hearted yet touching tribute to all things English.